" In 1949 Haiti was the third largest producer of coffee in the WORLD "
"One of our goals at Café Xaragua is to maintain the culture of Haitian coffee. We have chosen the name Café Xaragua – pronounced Café “Z”aragua – because it is the name that once represented the geographical region from which we source our coffee"
The island of Hispaniola, of which Haiti occupies the western third, was originally inhabited by the Taino Arawak people whom gave the name to the region of Xaragua. The Tainos were a seafaring brand of the South American Arawaks – Taino means “the good” or “the noble” in their language. Before the arrival of Christopher Columbus the island of Hispaniola was divided into a system of Chiefdoms known as: Marien, Maguana, Higuey, Maguá Xaragua. French colonists first planted coffee in Haiti in 1734 – coffee production quickly grew and by 1788 Haiti was incredibly supplying half of the world’s coffee. During the slave revolution - which began in 1791 and was one of the only successful major slave revolutions in world history – many plantations were burned and many coffee experts were massacred. 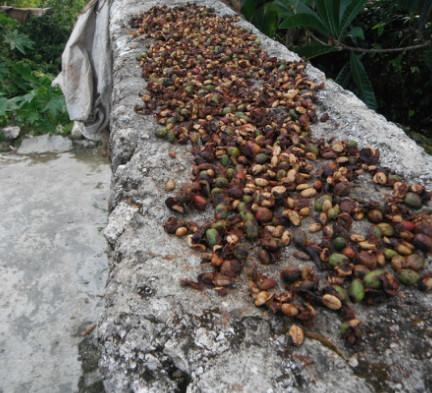 Haiti’s coffee industry has never returned to the level it was previously at. 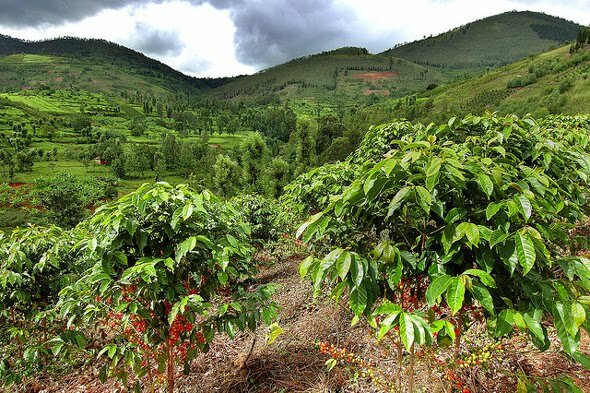 The International Coffee Associated projected that global production of coffee for 2011 will be 127.4 million bags – placing Haiti’s current production at a faction of a percentage point of global production. Today the potential production of export quality coffee that exists in south eastern Haiti is estimated at 150,000 bags (60kg each) and current production is only at a level of 25,000 bags. 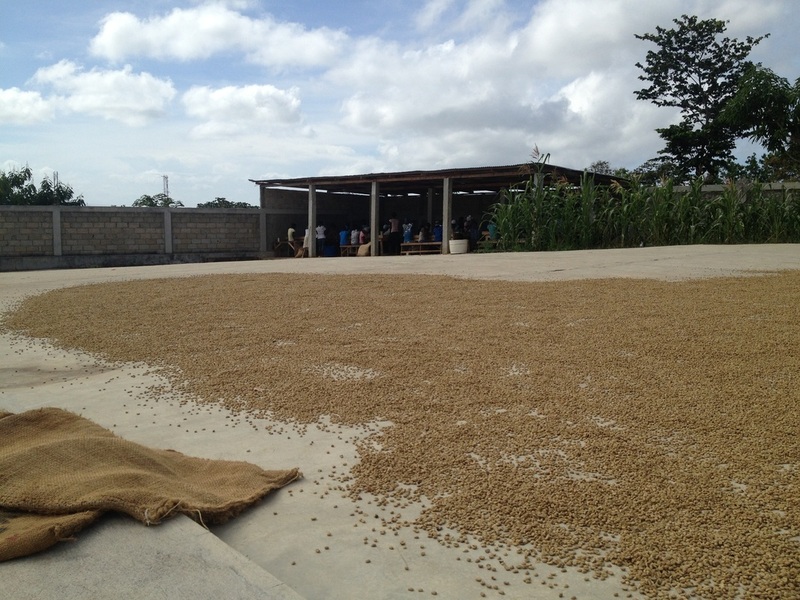 Of those 25,000 bags - it is also estimated that 60% goes to the Dominican Republic and is being resold as a blend with low quality Dominican coffee.The remaining 40% of production is sold as a premium coffee in export markets in Italy and Japan and now Canada. Although the international trade of coffee presents a great lever to bring development to the country of Haiti there must be a focus on quality coffee, ethical business and sound environmental practices. It is a long term solution and if executed properly will give the people of Haiti a chance to move out of poverty and eliminate the need for foreign assistance while revitalizing a once predominant coffee industry. By 1801, there was an attempt to revitalize the coffee industry in Haiti by leader Toussaint Louverture – however coffee production was already down 50% from previous levels making it a difficult goal to accomplish. From 1801 to 1803 Napoleon Bonaparte sent expeditions of men to retake the island. Although unsuccessful in his attempt to retake the island Bonaparte's men destroyed even more coffee plantations and massacred more coffee experts. Haitian Coffee made a comeback during the 1900’s and reached a peak for the century in 1949 when Haiti was the third largest coffee producer in the world. As time went on coffee production again fell in Haiti due to many reasons such as political instability, the need for charcoal (deforestation), dropping international prices and lack of foreign investment.